Wondering what you can cook after a long day at work? Just prepare the marinade, throw in the chicken, and whilst you have a lovely shower, they will be ready to put on the grill. Would be lovely with a crisp salad. Smashed potatoes go great too! In a medium bowl, mix together orange juice, soy sauce, oil, garlic, curry powder, chilli flakes, sweet chilli sauce, honey, salt & pepper. Slice each breast into two, put in a ziplock freezer bag and pour in the marinade. Toss to evenly coat the chicken. Refrigerate for at least an hour. Preheat oven to 180C. 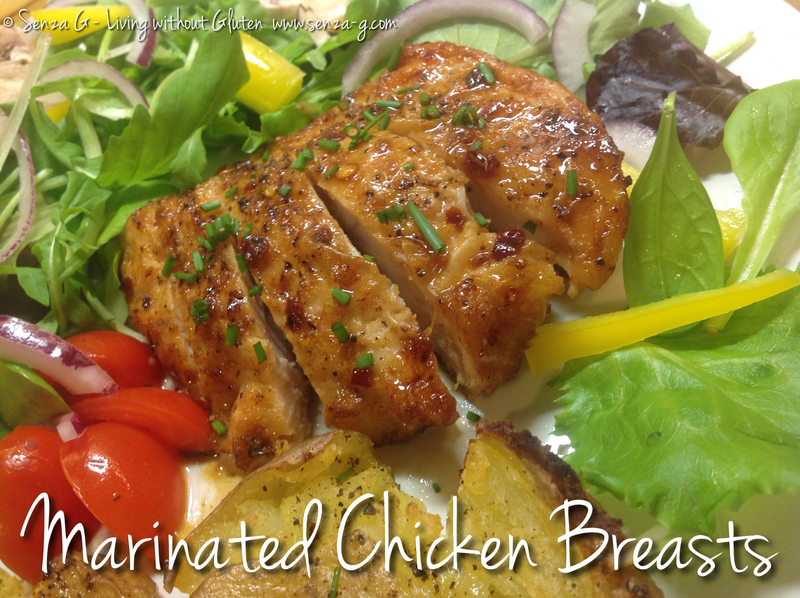 Place the chicken breast halves in a baking dish lined with baking paper and brush with the marinade. Put in the oven and cook until chicken is done, occasionally basting the chicken breast with the marinade.